With colder weather due to arrive we are delighted to announce a new promotion from Rayburn cookers that could see you save up to £1000 off your new Rayburn range cooker. Save £1000 – The biggest savings can be made on the central heating boiler models in the 400 series and series cookers. Models are available to heat up to 20 radiators plus hot water. You will also find options in both oil or gas fuels. 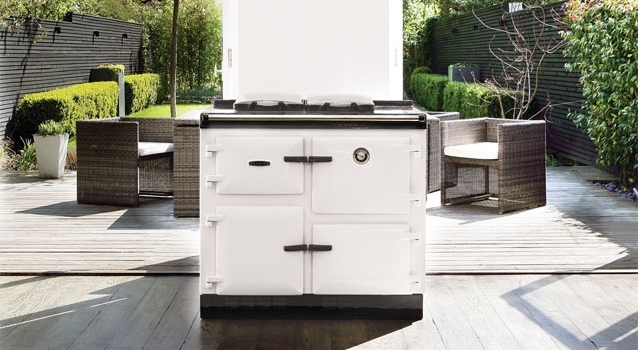 Save £750 – The classic solid fuel, central heating Rayburn 355SFW is covered by a £750 discount. Save £500 – The remainder of the range is still covered by a £500 discount. This includes the compact 200 series, 308K oil cooker capable of also heating hot water, plus the cooker only models in the 400 and 600 series. Rayburn now have more choice than ever with a selection of new colours recently launched in some of the most popular tones in home decor, so whether you’re looking to make a statement or to blend with your current colour scheme, there’s a model and a colour for you. For further details of the models available, take a look at our Rayburn Cooker Page on our website. If you need assistance to identify which model is made for your lifestyle, call into our showroom or phone on 01745 582254. Rayburn promotions don’t pop up on a regular basis, so if you’ve been considering replacing or upgrading to a sleek new enameled Rayburn range cooker, there has never been a better time.